As you may have noticed, I love Christmas! It's most definitely my favourite time of the year, and my Mum is even more hyped for the festive season. It's true what they say, the apple doesn't fall far from the tree. 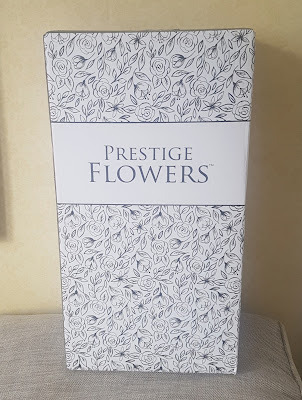 So when I was offered the chance to review some Christmas flowers from Prestige Flowers, I knew the prefect person to send them to. I actually missed the delivery, so had to wait an extra 3 days to receive it, so I was concerned about what kind of condition they would come in. 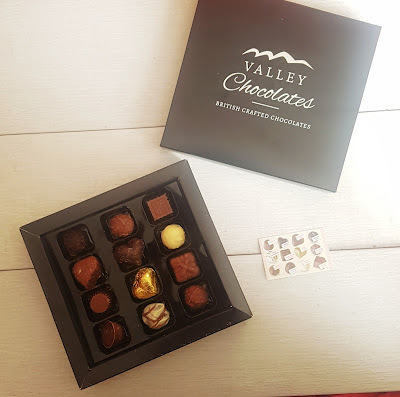 There was no need to worry, they were already fresh and perfectly safe in a large strong box. 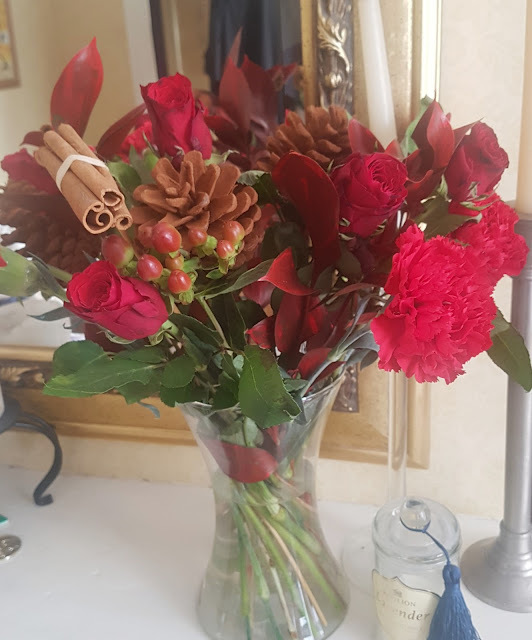 We were sent the Christmas Wishes bouquet which is simply stunning.A mixture of red roses, carnations, cinnamon sticks, pine cones, golden nests and green blossoms. 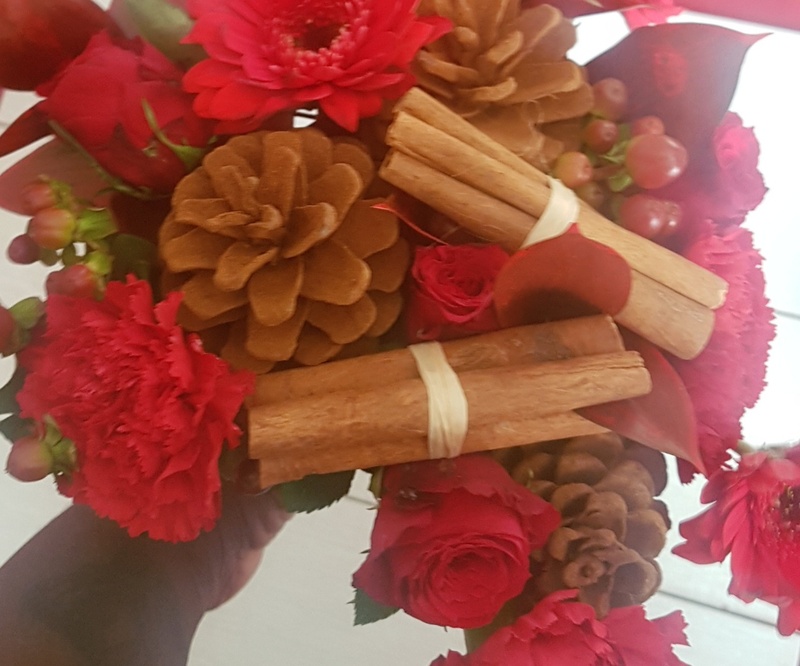 They smell and most importantly look great. I was pleasantly surprised with how fresh they were after being in their box for so long. 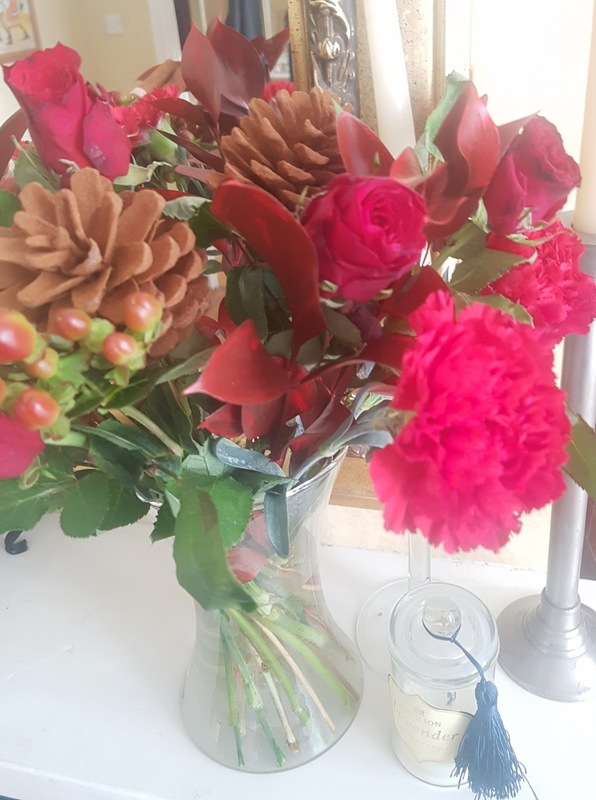 This is due to the special heavily watered material which was wrapped around the stems to keep them fresh. 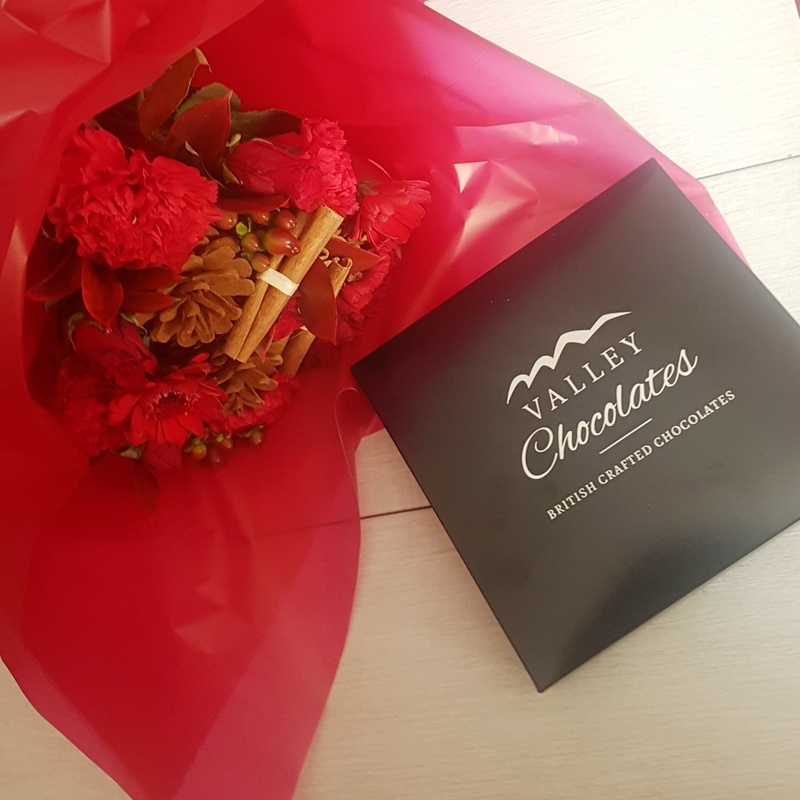 They came along with a glass vase, a small box of chocolates, a flower care guide and a little note that you can include for your loved ones. 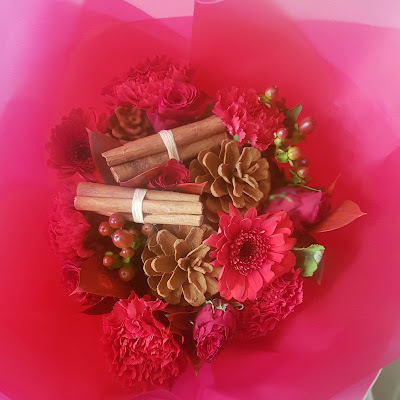 I really like that you can add extra items like the vase and chocolates to make the boutique unique to the person you are sending them to. 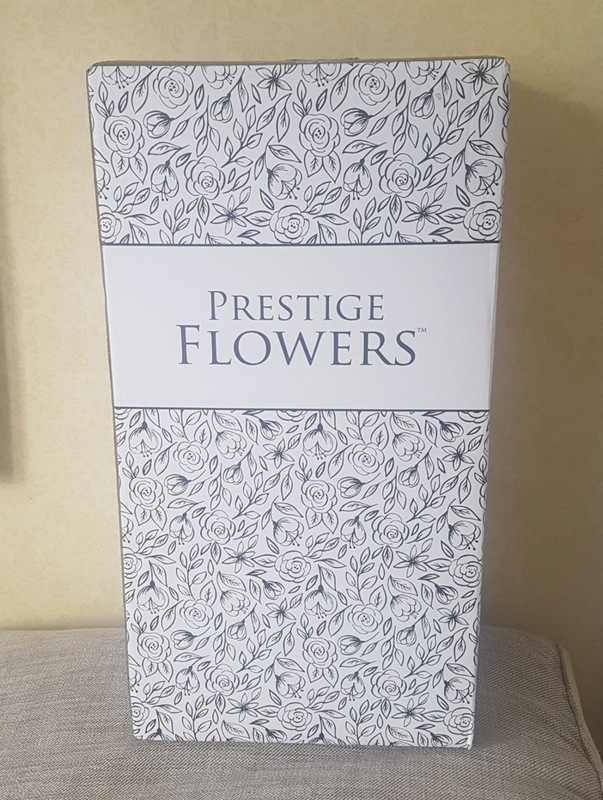 Prestige Flowers have a full range of Christmas flowers, have a browse and see which one of their festive bouquets catches your eyes. Order before 9pm for fast next day delivery.